Oh fine, I suspect that with the exception of maybe a small handful of people, if that many, the title is lost on my readers. Dont worry, I will explain, and even the video has a clever connection too! I trust by now that all my readers know I’ve got osteoporosis related back issues, which leads me to take painkillers (of a decent level), and use a gel on my back, to help keep the pain down. Fine, they are also aided by a back brace corset, that I might use as much for the corset like effects, as the back pain effects, but fine, it helps with both, OK? Oh fine, why Marion Davies, I hear you asking! On a truthful, but none too serious basis, my nurse suggested that I move somewhere a lot warmer for the winter than Yorkshire! Actually, if practical, would make a lot of sense, given the heat would obviously do my very sore joints the world of good. Yes, true, as I discovered in September, when I was away. Benidorm was her suggestion, mine unsurprisingly was California, though in truth, neither are going to happen in my current financial position, unless…? Back in the 1920’s, a certain young film star, and a wealthy newspaper magnate got together, though they never got married. Why, because said newspaper magnate was already married, and his catholic wife wouldnt divorce him. So arrangements were agreed, and William Randolph Hearst, took Marion Davies as his partner, and courtesan. Yes, wife in every sense but one. To be honest, he didnt do her movie career any favors, she was a great comic actress, he wanted her to play more serious roles, and given he had the money, and the power…Seriously, consider checking out one of her silent, comedic roles, and enjoy. ‘The Patsy’ is my personal favorite, for the impersonations she does, but any available will be a treat. I know, I’m not a film star, and I doubt any newspaper magnate would ever be attracted to me, but besides all that…If there is some wealthy person who wants me as their courtesan (I’m bi, if that helps?) 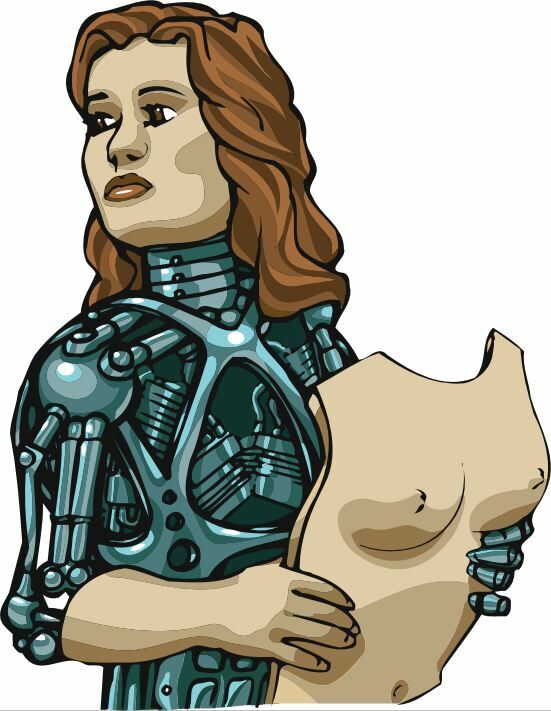 somewhere warm/hot, ideally with connections to movie/theater roles, or who has a robot fetish, who wants to help heal my back with some heat, let me know. But put it this way, I wont die waiting, no expectations on that front, lol! But fine, anyone prepared to pamper, and look after a lady, in need of some heat in her joints, anywhere would be fine! No, again, I dont expect to get crushed with offers! Right, the video. There is actually a Marion Davies connection in this. Kirsten Dunst actually played her in a movie, ‘The Cat’s Meow’ about an incident that happened on Hearst’s luxury yacht in the early 20’s. This video is a fine example of the strangeness of life in Japan, I guess? But I dont drive an Ice Cream van. Sadly, I suspect the vast majority of my readers wont get that comment at all, at least not until they click on one of the videos! Yes, a bonus blog, though sadly, not for a good reason, just that my back is living up to the title of the blog, nothing more. Its fair to say that for far too many years, I’ve suffered with intermittent back issues, mainly of the joints locking up type, probably related to the amount of arthritic joints I have, to various degrees, and my back is one of the longer term ones. Normally it will hurt for about 24-48 hours max, and then return to a level that I can cope with, even if some might not call it comfortable. But yes, when you’ve had joint issues, and aches since the age of 10, you get used to it. Snag is, this time around, its been about 7-10 days! Most of that time, its been in the range where I could ‘just about’ get to and from work, and do a day at work, but the last couple of days, not so good. So I finally had to wave the white flag, and take time off work with it. Today, firstly, that involved a trip to the Doctors surgery, to seek medical advice. I know, appointment on the same day, wow! Yes, it was the Surgery nurse, but in truth, thats all I really needed. Fine, fun moment, she couldnt find me on the records. It is actually my first visit under my new name, but under 3 guises, I’ve been registered there since 2005. Even trying under the old names, no joy. Anyway, to cut it short, some hydro-cortisonal cream, and painkiller prescriptions later, and a form to go and get my back X-Rayed at the hospital (which will be tomorrow morning), I was off again. Yes, I had one of those ‘How much?’ moments with 2 prescription items, but I guess if you only buy these things once every eternity, its not too bad, I guess? I guess the results of the X-rays will be interesting, though I suspect at fast approaching 60, a lot of my issues are just down to my age? But fine, I have to say it, if they find something that needs surgery, at least it will take the choice over the matter out of my hands, which has to be good? Osteoporosis? Why not, I seem to have suffered several ‘woman’ issues over the years, so it wouldnt totally surprise me! But generally, yes, I’m just ancient! Which leads us to the videos tonight. Yes, 2 of the same song, but very different stylings. Firstly, the full length version, which presumably was the one used on the album? Oh, and lastly, if I do need surgery, can I please, please have a new internal body system like this one?